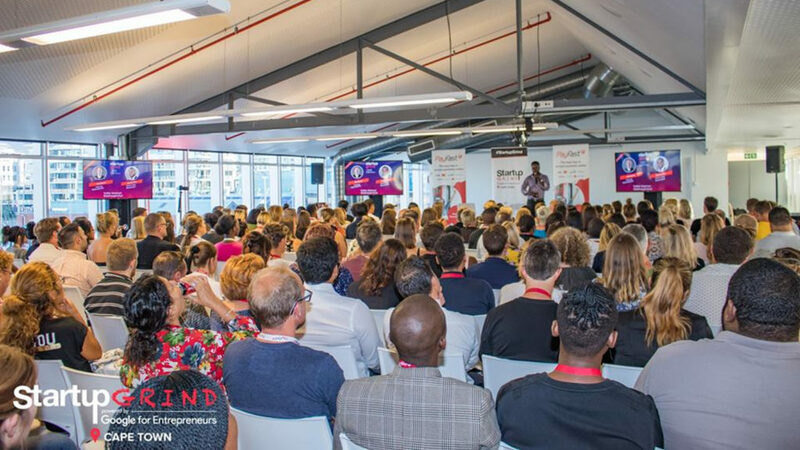 One of this week’s top events to look out for is arguably Wednesday’s (27 February) workshop in Cape Town on business acceleration and access to funding where organisers claim R1.2-million in funding will be given away. For those in Johannesburg, StartUp Grind Soweto will on Thursday (28 February) host a fireside chat with Tumisang Kgaboesele who will talk about launching a business using just what you have and making it work against all odds. Elsewhere on the continent, those in Namibia can join Raw @Cramers in Windhoek on Thursday (28 February) to explore funding options available for Namibian startups. For those in Ghana, watch out for the financial intelligence workshop in Accra on Saturday (2 March). Startup Grind Bloemfontein hosts Young Entrepreneurs founder and CEO Danie Jacobs whose company teaches children and young adults vital entrepreneurial, and workplace readiness skills and help them start and grow their own micro-enterprises in a fun and experiential way. The aim of this event is to highlight the intersection between business, the blockchain and innovation, opening up a conversation around these three industry spheres and how they create shared value. This free event — which is sponsored by McDonalds, Standard Bank, Business Partners and Waymaker VC — will see participants receive valuable tips and advice, solutions, as well as training on how to access funding and support from corporates, local and national government. The event is open to entrepreneurs with businesses that have been operating for at least two years. It will be facilitated by some of the top business development specialists in the country and will include valuable contributions from our strategic corporate partners. In addition R1.2-million will also be given away at the event. Heavy Chef hosts another senior member of Facebook’s team, Michèle Ngueyep, for an exclusive masterclass. Answering the call for more practical learning, Ngueyep will show us how to get started targeting your ideal customers, setting up your campaigns, constructing effective messages and converting your audience into paying customers. The theme for the SAVCA 2019 conference is “Rise to a new level”. The conference will explore and showcase how, despite a tough and ever-changing economic landscape, the industry continues to rise. Discussions at this event will seek to present an overview of the entrepreneurship community and assess what gaps exist in terms providing extensive and relevant support to aspirant and existing SA entrepreneurs. Get2Natural founders Dlamini Nosihle and Khumalo Phumelele have won several awards and prizes, including second runner up at the Global Cleantech Innovation Programme and best upcoming entrepreneurs by Business Support. Join the duo at this Startup Grind Durban event. A Cyber crisis such as a data breach can seriously harm a company’s reputation and competitiveness.This workshop teaches what to do before one happens and what to do if a crisis such as a breach should happen. The year is is off to a flying start and Startup Grind Johannesburg is excited to invite you to join us for a forward-looking fireside chat with Raizcorp CEO Allon Raiz. Expect everything and nothing short as Raiz shares his views on what may be in store and what to look out for as an entrepreneur in 2019. Startup Grind Centurion hosts Bathu Shoes founder Theo Baloyi. Get to know the man who’s breathable, colourful shoes are getting every South African walking their own journey. StartUp Grind Soweto will host a fireside chat with Tumisang Kgaboesele who will talk about launching a business, using what’s at your disposal and making it work against all odds. I’M IN Business is a pilot for the Masterclass series of events brought to you by I’M IN Accelerator. The aim of this series is to provide tech startups access to first row information from successful entrepreneurs. At this seminar, LBC Managing Partner Carlos Oliveira will present the 2014 Global Strategic Innovation programme, a Silicon Valley immersion programme for executives. This programme already has a solid track record in Angola with several dozen participants in previous editions. Join Benin’s biggest annual digital awards competition. This event, which will feature IBM Egypt’s Amr Eid, will provide an introduction to blockchain technology for individuals without a technical background. This information session covers the different financing options for business or startups and an indepth discussion on how to get your business ready for investors. This event will help you learn all the financial intelligence you’ll need to become a successful entrepreneur. Topics to be covered include practical ways of safeguarding your capital, how to interpret your financial data, and controlling your business expenses before it’s too late. Startup Grind Mohammedia AfterWork events are a platform to meet, exchange and draw inspiration from other entrepreneurs. This week’s guest is HZ Group’s Hamza Ahamamou. What are some of the funding options for startups in Namibia? This time around at RAW we will be discussing what some of these options are in the Namibian context. Each session enables startups connect with successful entrepreneurs and top executives who have garnered tons of experiences that money simply can’t buy. The 18th CFA’s Startups Hangout will focus on how to go from Startup to Scale up, the whole 9 yards. WennoChat is a monthly engagement platform that brings together entrepreneurs, business executives, developers and other stakeholders to learn, network, share key issues affecting tech innovation in Nigeria. This month’s topic is “Launch, Relaunch and Earn With Social Media”. Do startups require legal services? What are the advantages of getting access to legal services at this stage? Do you want answers to these questions? Then join us. WennoChat is a monthly engagement platform that brings together entrepreneurs, business executives, developers and other stakeholders to learn, network, share key issues affecting tech innovation in Nigeria. This month’s focus is on applying for business funding. This event will equip startup entrepreneurs with the necessary knowledge and skills they need to craft unique narratives for their businesses which will result to increased visibility, favourable public appeal perception and higher sales margin. 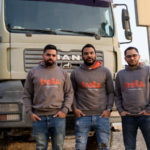 Ikigai Nairobi will host Mahia-John Mahiaini of Twiga Foods, Ariane Fisher of Shortlist, Brooks Washington of Roha Africa, Niraj Varia of Novastar Ventures and Lauren Cochran of Blue Haven Initiative. Join the event for a deep-dive conversation exploring each company, their recent work, funding rounds, some of the unwritten rules of raising capital and get advice on early-stage investing for your business. This is the first in a series of three workshops iHub and Raise will hold for founders, investors and law firms to understand how to prepare to raise capital, structure capitalisation tables and how to use digital shares and blockchain to ease the fundraising process. The Thursday Tech’spresso is a free breakfast briefing series regularly hosted by Dimension Data East Africa. It brings together technology experts and peers across the industry to deep-dive into the latest and most pertinent technology, trends and their relevance to your business. Join Nairobi Garage as it hosts Amref Corporate Communications lead Elizabeth (Lizz) Ntonjira as she shares her story on her foray into media and her career journey, as well as the challenges she’s faced being a woman in leadership. She will also share leadership tips and how businesses can execute great strategies that can position themselves as thought leaders in their areas of expertise. This event will allow entrepreneurs, support structures, companies, and public organisations to have a forum for exchange on the perspectives of evolution of the startup scene in Senegal.